This vintage Mel Pardue designed folder was recently acquired from a collection. It is in excellent condition and includes a Benchmade box and a soft leather storage pouch. Pictured above is the actual knife for sale. 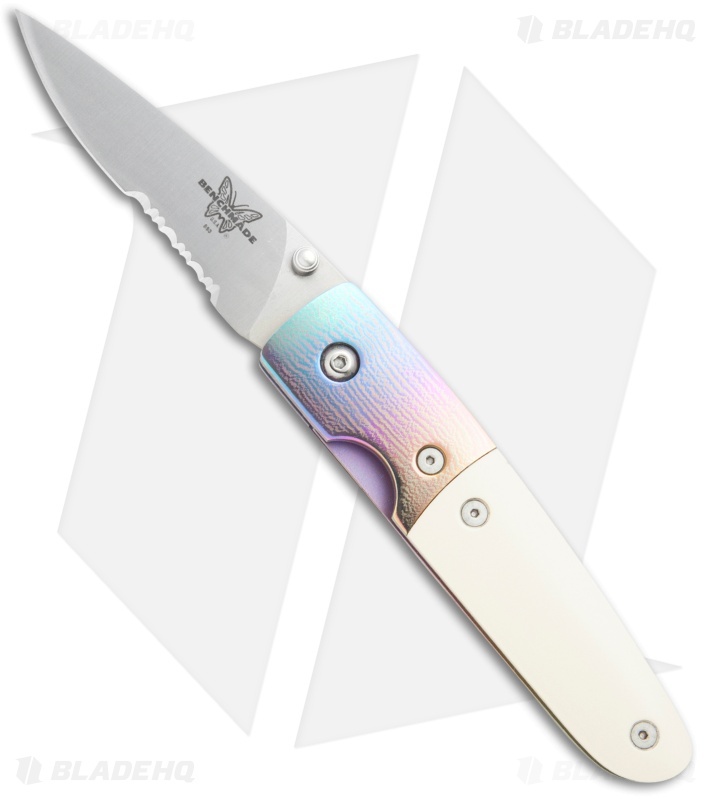 The Benchmade 850S Mel Pardue folder is an impressive gentleman's knife. 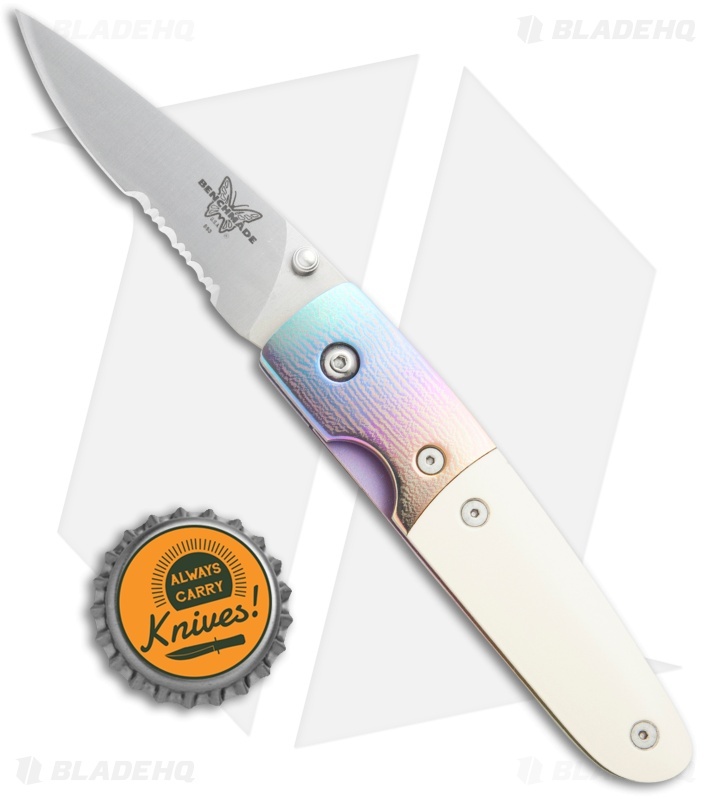 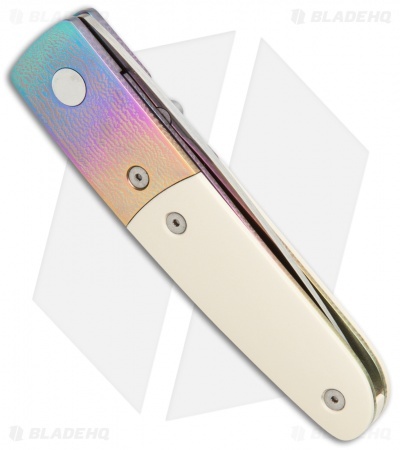 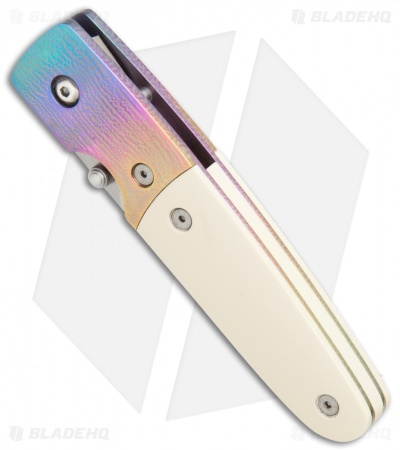 It features an ivory Micarta handle with spectrum anodized liners and bolsters. The spear point style blade is satin finished with a partially serrated edge.